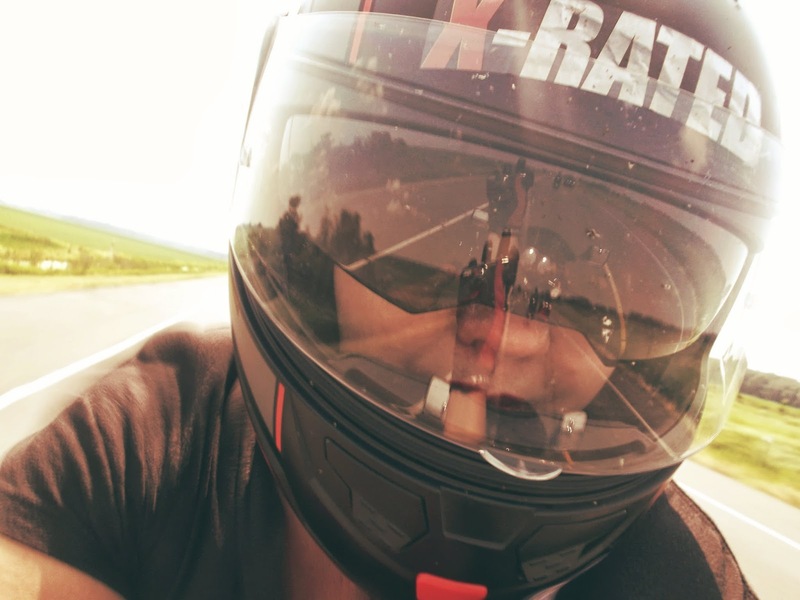 It's been two years to this month that my wife Sash has been riding her own motorcycle, and for a guy who has watched her the entire time, it's been quite a fulfilling experience. For one, I really love to see someone get excited about riding a motorcycle, seeing new bikes, getting new gear, and going to new places. But two, I'm also really proud to know that Sash is building her own presence in the motorcycling community. She's made lots of friends, participated in events, and got to know some of the movers and shakers in this world. Two years really isn't a lot of time when you consider many of us riders have been at this for decades. But at least within women's circles, I'm willing to bet that 80% of them haven't covered 35,000+ miles and 25 states in their first two years of riding. And that's just on her own bike. I remember my first two years on a motorcycle. I was still in college. I hadn't even ridden it across state lines. Often times, we'll say to each other that we're two very similar people, except I'm an introvert and she's an extrovert. Otherwise, we have similar upbringings, enjoy many of the same things, and deal with many of the same demons. Generally, we see motorcycling in similar ways. We like touring across country, we don't fall into niches like cruisers, sportbikes, Harleys, BMWs, metrics, et al, we just like motorcycling. But with Sash being an extrovert, she likes hanging around people and building relationships. And me being an introvert, I like being on the bike, dialing myself in, and getting in to my head. She's great at networking and building a clientele. I'm good at hiding behind this laptop and figuring out all this Internet marketing stuff. The two of us make a good team. But the transition from a severely depressed, SUV-driving, suburban housewife, to this over-the-top, in-your-face, biker chick with pink hair, was all on her own. I may have given her a ride on the back of my bike, and I may have taught her things about Internet marketing, but as they say, "You can only lead a horse to water..."
As it stands now, we've extended our stay in San Diego only until February 28. After that, our plan is to hit the highway and get back to riding across the country. The only circumstances that could keep us in San Diego longer is if Indian Motorcycles wants Sash to have the 2015 Scout for longer, or if we find more clients that need us in town. But if Indian would like us to keep building the IndianScout.com website, perhaps they could throw on the rest of the accessories (luggage rack, sissy bar, saddle bags) so that we can take it across the country! Congrats to Sash on two years of riding her own ride! !